Antique Amateur? Discover treasures in the Cotswolds. Antique Amateur or History Expert? Auctions are the perfect place to find treasures. Popular Antique television shows are always visiting properties that are similar to a grand Country House hotel in Gloucestershire. Instead of waiting for them to visit near you, why not brave an auction during your trip to the Cotswolds? Always hunting for a bargain? Curious about the cash you’d need to acquire a treasure from other people’s attics? If you’re an antique amateur or an aged expert, you’ll know that collecting is a historic and addictive past-time. And while you won’t find us selling off any of our antiques in a hurry, we personally think the thrills of the auction room will continue on for generations to come. With that in mind, we’ve compiled an easy mini guide to two of the area’s top Auctioneers so you can be a part of the action and not waste a minute of your break during your stay in one of the Cotswold Finest Hotels. The Cotswold Auction Co is a mere 36-minute drive from Lords of the Manor and renowned for being the Cotswolds’ leading auctioneers and valuers. If your enthusiasm lies with toys or you go gaga for models and dolls then you should make sure to pay them a visit on 25th and 26th July to see what they have on offer. This sale also includes an array of antiques and beautiful interiors to furnish your home in your dedicated style. If that’s not to your preference or taste, then swing by on the 8th August and you can raise your card for the best in vintage fashion, textiles and 20th Century Art and Design. Who knows what rare pieces may come up for sale but luckily browsers and buyers are welcome without paying an entry free. Competition is fierce so be prepared – you can view the catalogues of their upcoming sales here. Located half an hour away from the hotel, Moore Allen & Innocent has over 150 years of history in the area and auctioneering. Offering live webcasts for the majority of their auctions, they are well and truly keeping up with the times whilst maintaining their heritage. On the 21st July, 4th August and 25th August you can attend their Antique and General auction, which will include 18th to 20th-century furniture, pottery, porcelain, glass, metals, paintings, jewellery, collectables and much more. This would be a perfect auction to attend for first timers and general enthusiasts due to the varied offering on sale. Got your eye on a particular style of painting? Looking to build your budding collection? Most auction houses release their catalogues and itineraries online. 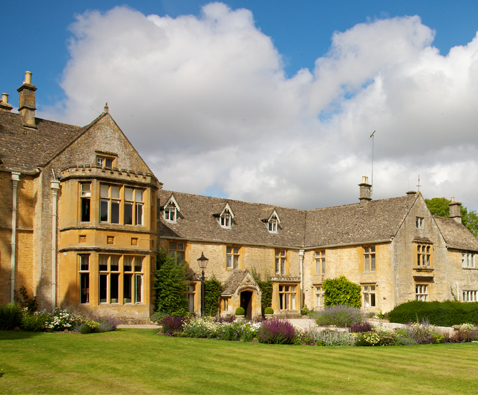 Once you’ve seen something of interest, don’t delay and secure your room in one of the Best Cotswold Hotels. Book your stay with us 2 or more months in advance, and you’ll receive 15% off and receive Michelin starred Full English breakfast throughout your break – you’ll be ready to partake in the auction and you’ll even have some leftover lolly to bid for your items. And once you’ve bagged your bargains? Why not discuss your auction experiences over an authentic Cotswold afternoon tea here at the hotel. You can get our best room and dining rates by booking with us direct.